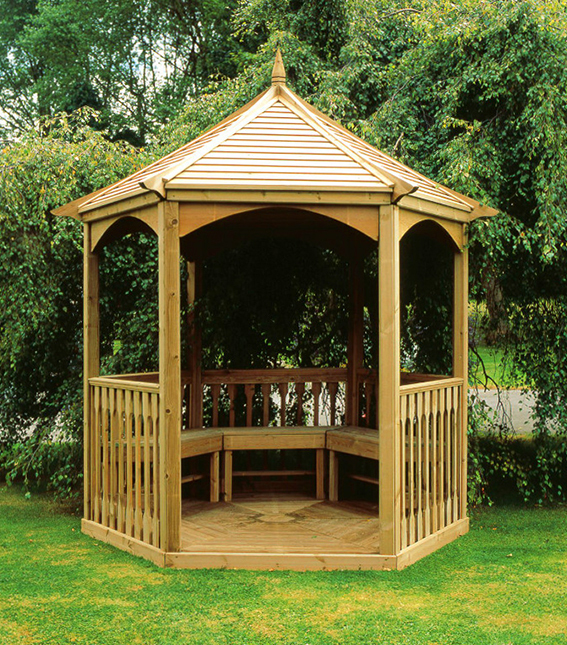 The Brompton Gazebo comes in three sizes to suit your particular needs and will add special value to your garden as an attractive area for alfresco entertaining with family and friends. 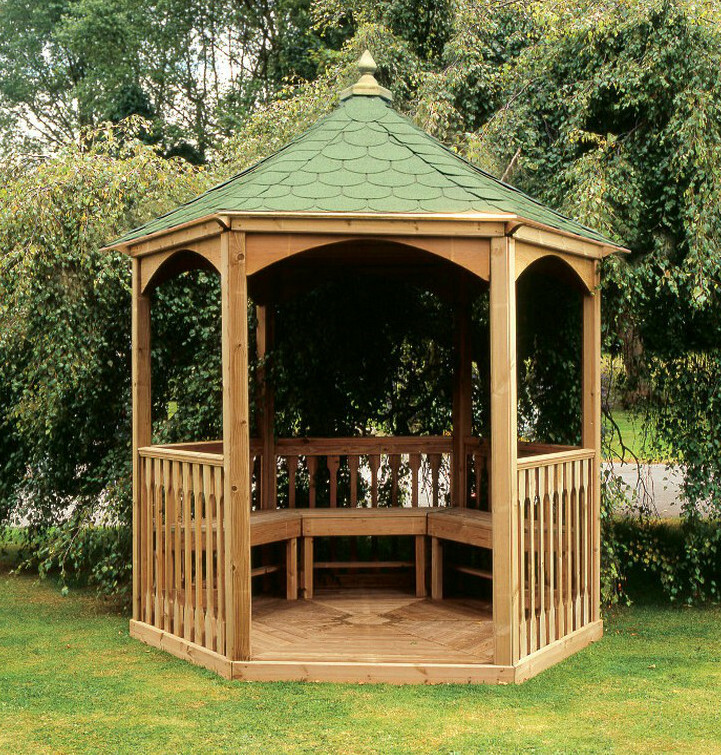 The gazebo doesn’t just look good, it stays looking good, the quality of the product ensures lasting pleasure! It comes with a choice of green or black shingle roof tiles. 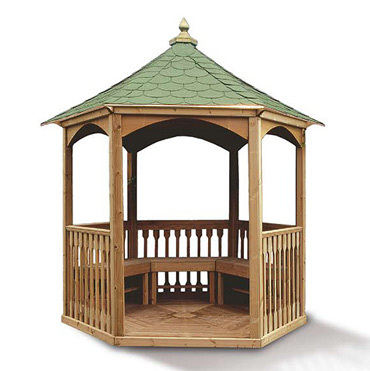 Wooden roof is also available.